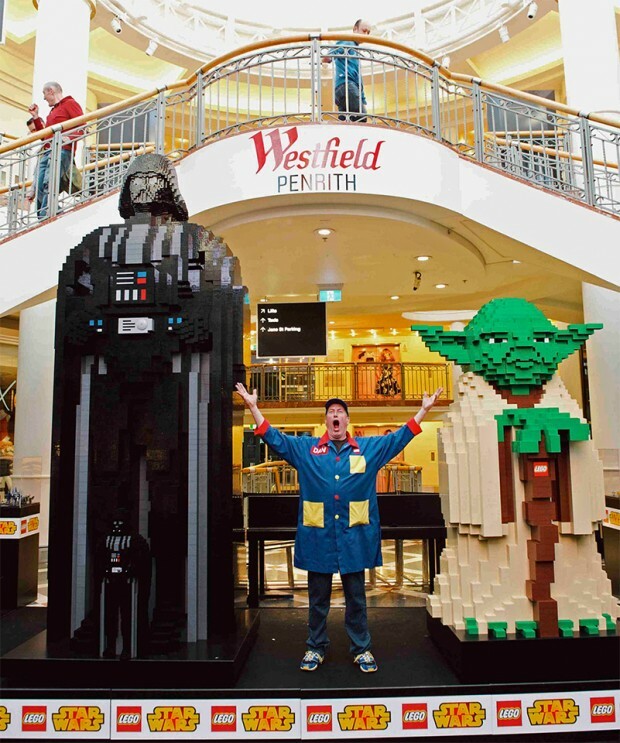 To celebrate Star Wars Day 2014, LEGO Master Builder Dan Steininger traveled to Sydney, Australia where he met with an Australian LEGO Certified Professional, Ryan McNaught, to build the world’s largest model of Darth Vader made from LEGO bricks. The build was done at the Westfield Penrith mall and more than 250,000 LEGO bricks were used in the Vader model, which stands more than 13 feet tall. The pair also built a bigger-than-life Yoda who stands over 6 feet tall, which is much larger than we’re used to seeing the Jedi Master. No word on how long the two figures will be left standing in Sydney, so we suggest you hurry over and take a look while you can.